We spent some real time looking for this one. 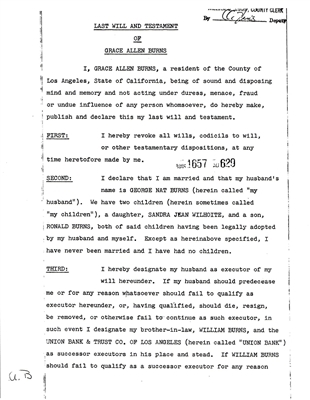 Gracie's 15 page will from 1957 is very precise in its purpose and wording. 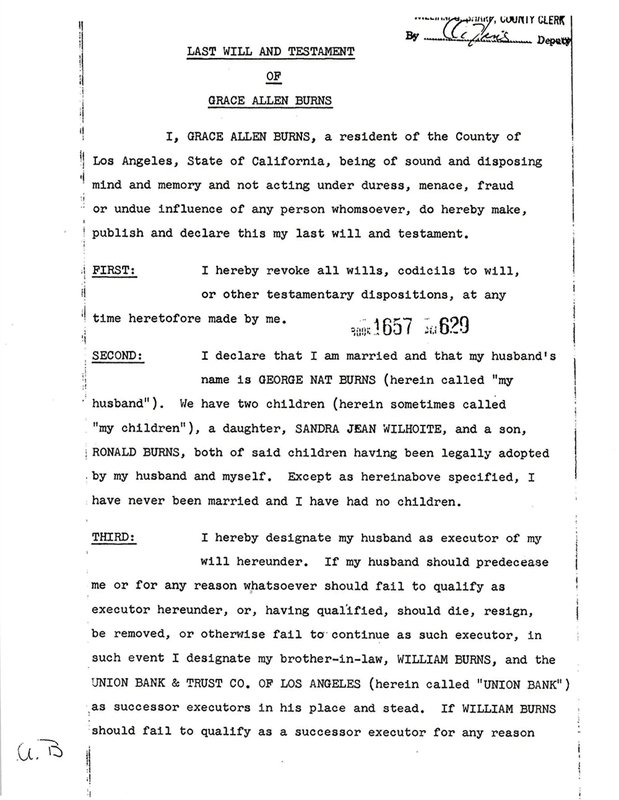 Also included are a 2 page Petition for Probate (with George Burns' signature), 2 pages of letters, 2 pages of funeral info and 3 pages of Inventory and Appraisement. Death certificate included. One of our most popular documents.